If you have valuables or irreplaceable items you need to keep safe and secure, what is the best option for you? 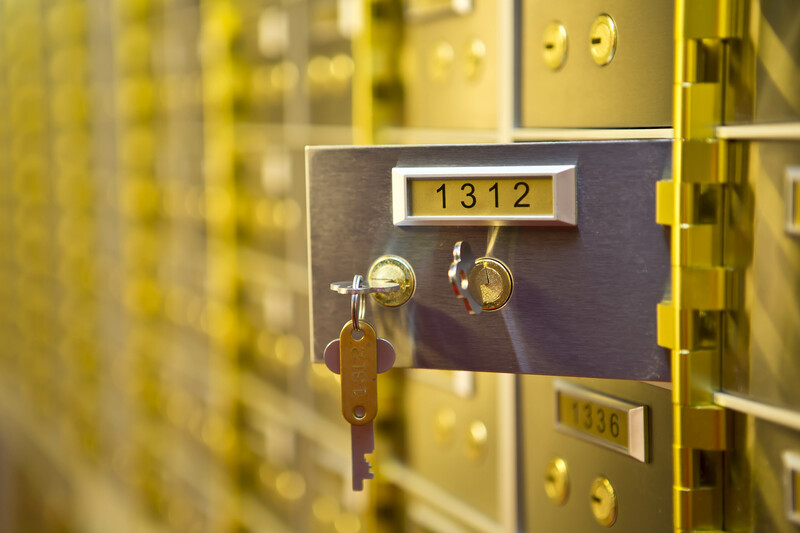 Whether it’s cash, jewellery, gold bullion or just important paperwork you need to keep safe, there are a number of things you should consider when deciding between a home safe or a safety deposit box. 1. A safety deposit box is better value. A small, mid-range home safe will cost approx. £1,000-£1,500 (before fitting costs) – whereas a safety deposit box starts at only £150 per year – giving you over 5 years total safety and security, with 7 day access for less than the cost of the home safe. 2. A safety deposit box will offer better protection from fire. The aforementioned home safe would have a fire rating of Grade 1, this will only offer protection from fire for 30 minutes whereas the safety deposit box in this instance is in a Grade 8 vault, offering a hugely increased fire and security rating. 3. A safety deposit box offers much more protection from thieves. People believe they can ‘hide’ their home safe from thieves and burglars. The latest research and expertise from the police proves this is rarely the case. Burglars are now breaking into homes complete with handheld metal detectors (easily available to buy online) – they can then ‘sweep’ the entire property in 5-10mins and will almost always find the ‘hidden’ safe. Thieves will then cause major destruction to property in removing these home safes. It is also worth bearing in mind that if they cannot remove the safe, they may then wait until such time as the homeowner or family is actually in the home, to return and under use or threat of violence make the homeowner comply with their demands to open the safe. 4. Home Safes are notoriously easy to ‘crack’ open. All one has to do is watch an episode of ‘Storage Wars’ on TV, or many other similar TV shows, to see just how easy it is to open a home safe. Alternatively, a quick google search of ‘how to crack a home safe’ returns findings of over 7 million results! (a lot with videos). safety deposit boxes however, are housed within a secure vault, which is practically impossible to open. 5. You can save money on home insurance with the use of a safety deposit box. If you have a home safe, your valuables will still be included in your home insurance – which means you will still be paying for their cover – especially if they are ‘specified items’. When you rent a safety deposit box you can remove these ‘specified items’ from your home insurance policy therefore lowering your premium. While there are many more advantages to having a safety deposit box over a home safe, it is worth pointing out that any additional security measures you take with your valuables at home will normally be justified. For more information on renting your own private safety deposit box contact: www.austinvaults.com or call: 0141 343 1305.